Compatible with nonstick cookware. High heat resistant to 450F/230C. 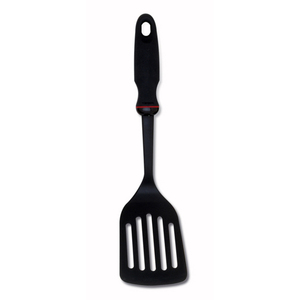 The handle has a patented shape, ergonomically designed to fit perfectly for right and left hand use. Measures 12"/30.5cm long. Dishwasher safe.